Shirley Camidge is a Houston native with 18 years of real estate experience. In addition to being a Realtor, Shirley is also a real estate investor and property manager. Her passion for real estate began when she and her husband started looking at investments for retirement purposes. Through this process she discovered her gift for finding properties that not only appeal to investors but individuals and families as well. One of the reasons that Shirley chose real estate as a career is because it is constantly evolving but the number one reason that she chose it is because she loves working with and helping people. "I enjoy creating relationships with my clients and being their trusted adviser. Buying or selling a home can be stressful. I pride myself on creating as smooth of a transaction as possible and more importantly, providing my clients with a great experience," says Shirley. When Shirley isn't working, she enjoys spending time with her grandchildren and doing just about anything that involves creativity such as cooking, sewing, decorating, and music. Of all of her many accomplishments, she is most proud of her family and her Christian faith. If you are planning on buying or selling in the Houston area contact Shirley Camidge, your Houston neighborhood expert. Shirley looks forward to providing you with exceptional individualized service and establishing a lifelong partnership. 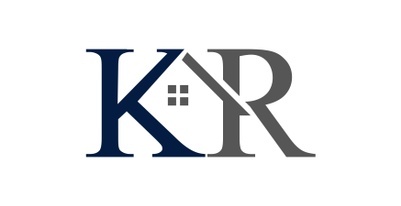 Shirley Camidge with Keeling Realty, LLC is a real estate professional in TX. View Shirley Camidge bio, Listings by Shirley Camidge, Neighborhoods where Shirley Camidge is active and more. You can contact Shirley Camidge by phone, email or visit the website.